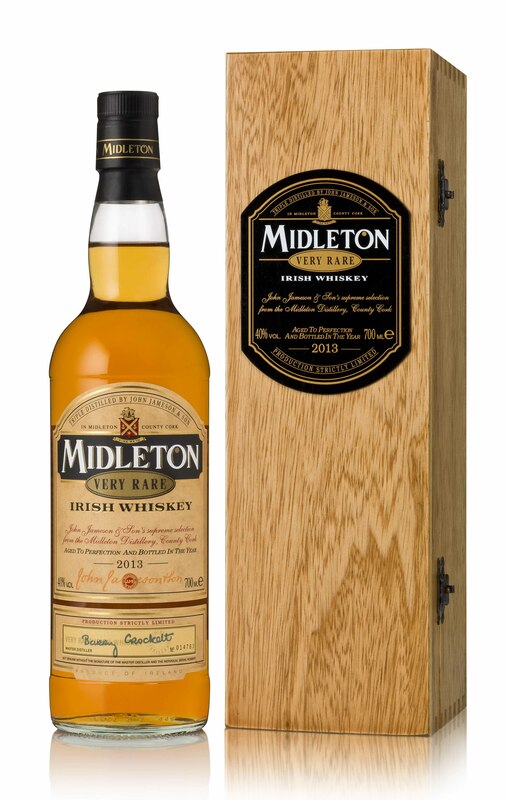 Concerning the Midleton Barry Crocket Legacy bottling released years ago, a promotional video on the various Midleton releases claimed that it “must be the ultimate expression of the art,” namely, the single pot still style of Ireland. Another marketing claim? I will say that I do not think it is. In fact, I think they are right. Midleton is the only distillery currently producing single pot still style, and their yearly Midleton releases are their very finest selections. Our review today doesn’t concern the Barry Crocket Legacy bottling, but of the yearly “Very Rare” edition. And if the standards are not as high as they are for “Legacy,” they are certainly high enough given the price tag and provenance of the Very Rare line. Let’s get to the particulars…. Nose- A very quiet, strange start, but with time grows with complexity. Vanilla cream, spicy cinnamon apples, and confectionary notes abound. Dried fruit, nutmeg, applesauce, ginger. Pencil shavings. Buttered toast. Full and lively with time. Taste- Oily. Creamy sweet, fruit cocktail. Spice cabinet with baked apples. Savory with citrus sour feel. Incredible. Finish – Long and full. A lingering rehash of the taste. Comment- Clumsy at first, but with time our curiosity is rewarded with a very unique flavor experience. Fills out nicely to a full bodied, wonderful Irish whiskey. Recommended if you have the coin and perhaps a bit of an acquired taste.